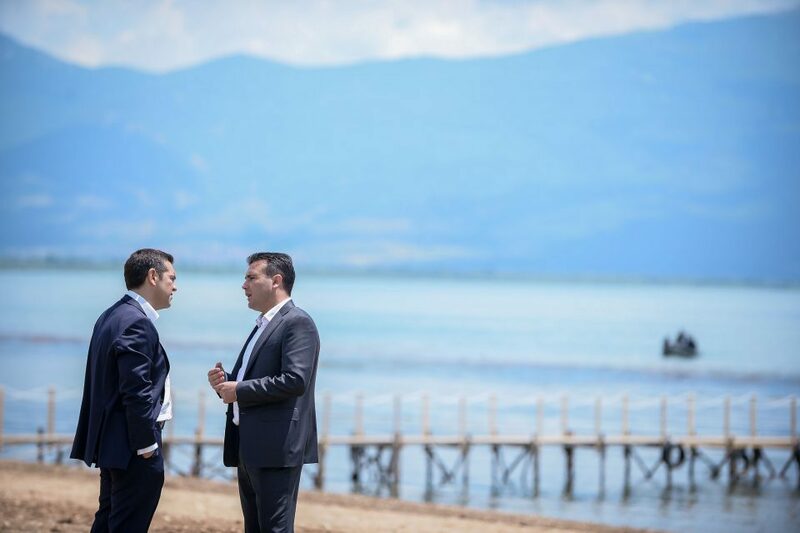 Greek Prime Minister Alexis Tsipras assured journalists that his treaty with Zoran Zaev to rename Macedonia into North Macedonia will be sent before the Parliament during his term in office and will not be left for the future, most likely conservative led Government. Still, Tsipras did not specify whether this will happen before March, as he was asked to do by NATO Secretary General Jens Stoltenberg, who asked for ratification in both countries by mid February. German Chancellor Angela Merkel will arrive in Greece next week and it is expected that she will push Tsipras to ratify the treaty as soon as possible. He faces opposition from the leading opposition New Democracy party, the old left wing PASOK party, and even from most representatives his own coalition partner, the nationalist ANEL party. But Stelios Kouloglou, member of the European Parliament from Tsipras’ SYRIZA party, announced that the Government may consider the treaty ratified only if it wins majority of those who are present in the Parliament at the time of the vote. This would allow Tsipras to push the deal through with less than 151 votes – which is half of the full Parliament plus one. Kouloglou said that the Government will have more than 151 votes, but insisted that this number is not necessary for the treaty to be ratified. Defense Minister Panos Kammenos, who is also leader of the ANEL party, said that he will withdraw from the Government if the Prespa treaty is sent before Parliament, which would cause a vote of no confidence. Greek politicians have also raised the possibility of ratifying the treaty separately from the Macedonia NATO accession protocol. Greece ratifying the NATO accession for Macedonia, which it has vetoed since 2008, would be its first significant concession provided in the treaty. Future Greek Government would then have to withhold their veto power over Macedonia’s EU integration, if they want to implement their end of the treaty.